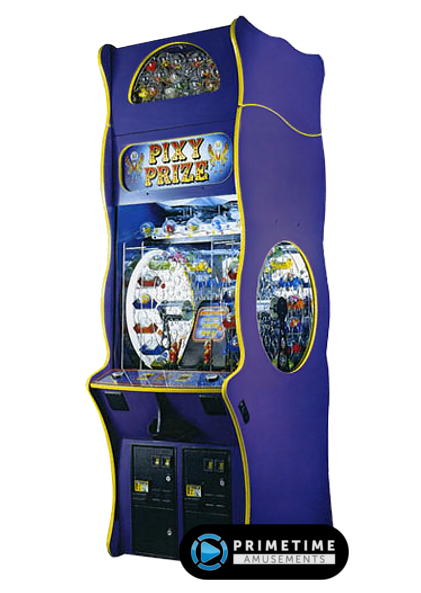 Installed Dimensions: H: 11.8' W: 4.5' D: 4.5' Weight: 650 lbs. Basketball is often an attraction sport and with the Street Baller by Benchmark Games, you can bring that appeal to an awesome jumbo crane machine for prizes. 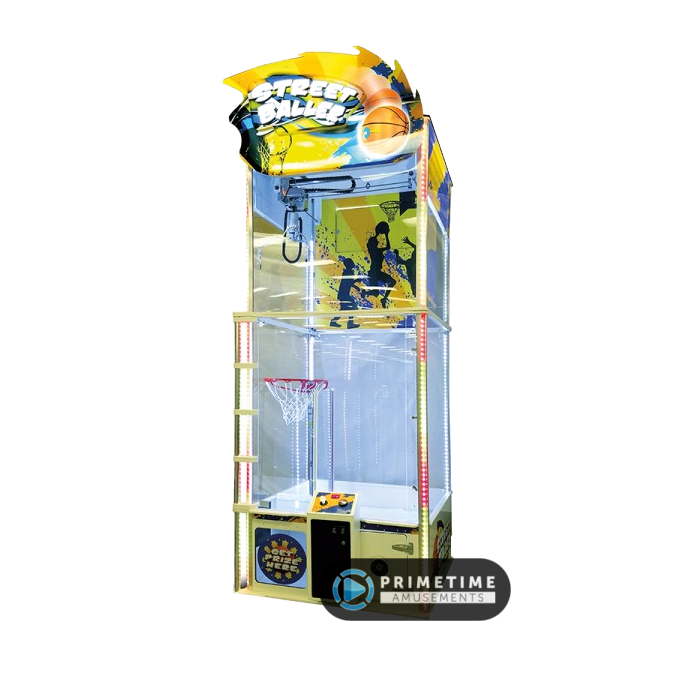 With it’s basketball theme, Street Baller is an attractive skill-based crane where players attempt to win the prizes by getting them through the hoop that sits above the prize chute. 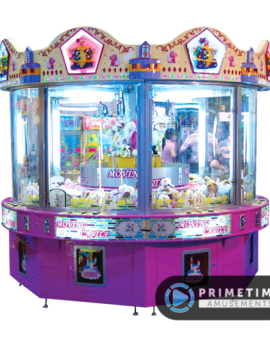 Benchmark has also added to the aesthetic appeal by using chasing LED lights in the marquee plus the chasing RGB lights on the corners of the unit. 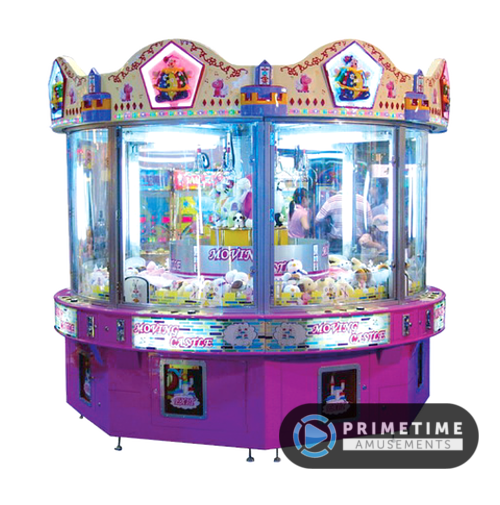 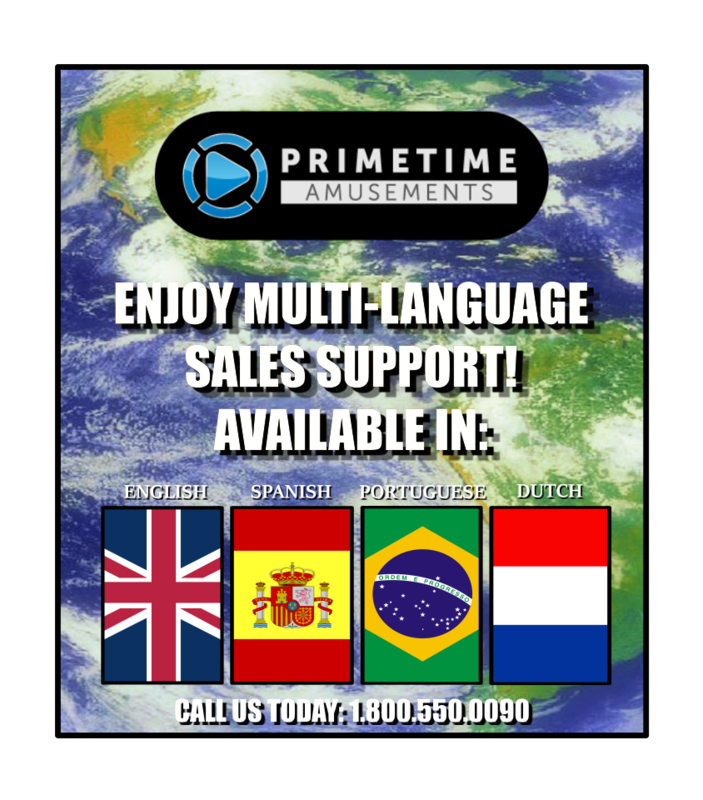 This attraction crane stands at almost 12′ in height – a sure-fire way to draw in customers to venues that have the available ceiling space. 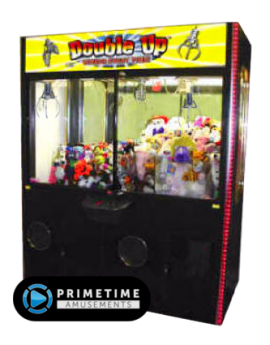 Thanks to the space this uses, operators can feature jumbo plush prizes, large balls and other product suited for a “jumbo crane” machine. 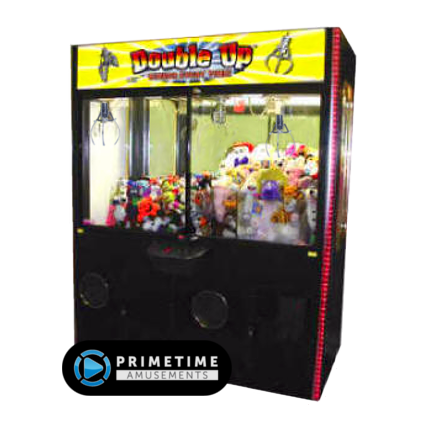 You can even feature real, professional sized basketballs, allowing for a ‘swish’ with every win! 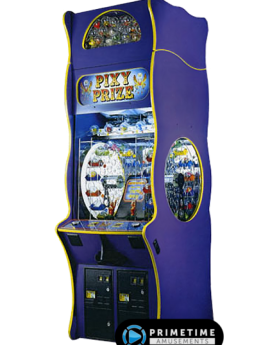 Installed Dimensions (8-player): H: 92″, W: 92″, D: 98″ Weight: 2452 lbs.